One of the most interesting vestiges of Hebrew culture conserved in Europe. The medieval historic-artistic site of Besalú is considered one of the best conserved in Catalonia. Of exceptional interest is the Jewish Quarter with its mikveh, for a long time the only medieval Jewish bathhouse known in Spain, until another was discovered in Girona city in 2014. 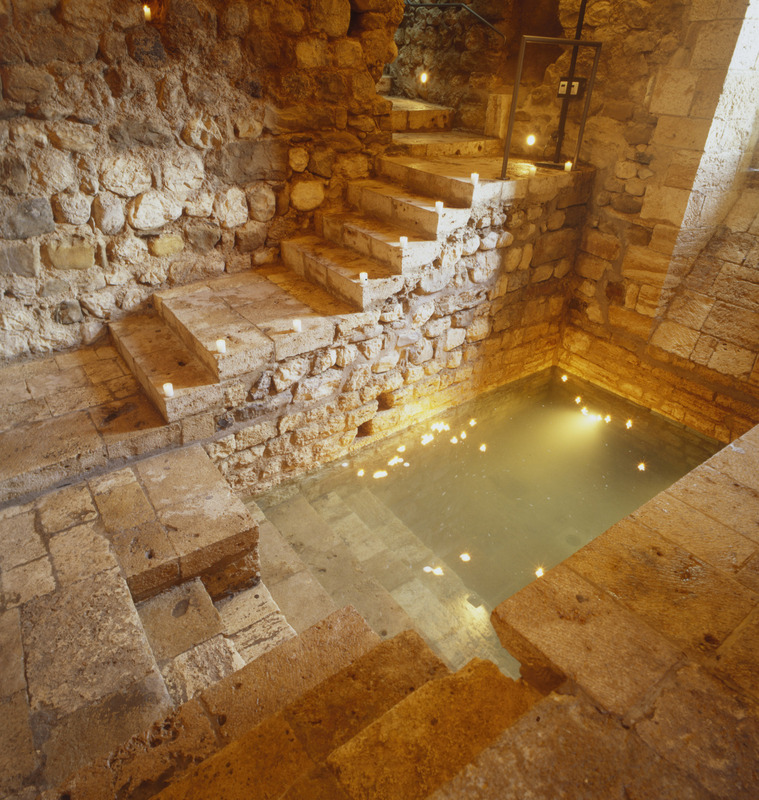 The Besalú mikveh is one of four of its kind remaining in Europe. The mikveh is housed in a barrel-vaulted underground room built from carved stone in the Romanesque style. The bath was filled with naturally flowing spring water, and was used to purify the soul through complete immersion of the body. The bathhouse is located on the site of the former synagogue of Besalú, now listed as a Cultural Asset of National Interest. Other interesting parts of this unique synagogue enclosure are the courtyard, which was used for weddings and festivities, and the prayer room. 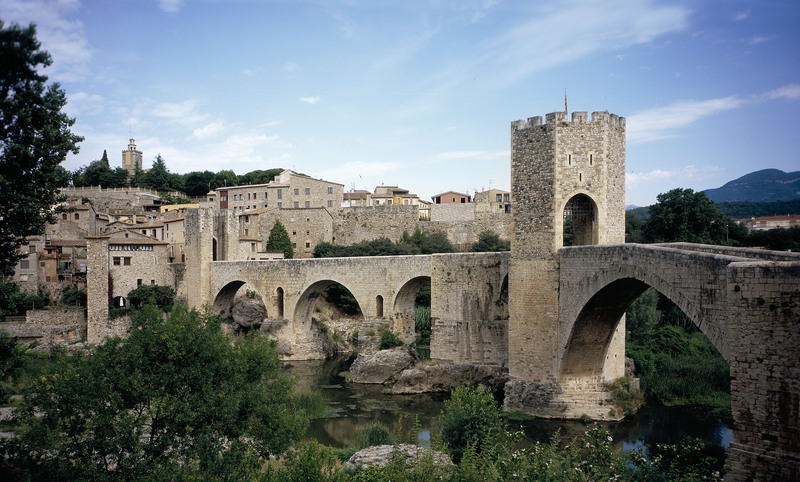 The first bridge of Besalú was probably built in the 11th century by Count Guillem el Gras (1030-1050). It was swept away by a flash flood in 1315, but was rebuilt thanks to a tax levied by King Jaume II.